Wisdom of Life. : Right mental attitude. Everything goes up and has to come down. Not price of goods! When I was a little boy, a cup of tea or coffee cost only 1o cents. Goosh! Today a tea or coffee from a tea store costs a dollar. From a coffee shop, their price is around RM2.50 and the Coffee Beans or Starbucks Coffee is RM10.00. Thirty five years ago, a brand new Honda Accord was available below RM10,000. Today you have to pay around RM140,000 to get this dream car of your choice. I bet the price of all goods will go further up. The price of goods have gone up and similarly our salaries and wages have increased tremendously. Forty years ago, it was a pride to be earning a four figure salary. Generally most wage earners earned between RM100 to around Rm300. Today most basic salaries begin at around RM1200 to unlimited amount. There are young salesperson who could be drawing income of few hundred thousand ringgits a year or self employed professionals who earn a million or more. The opportunities are better than before. Price of goods could have gone up but is up to us to take life as a challenge. If you are prepared to work smart and hard, when your income is considerable high, then most goods will be considered as cheap to you. Of course when your income is low, you have to be careful with your spending because most goods will be expensive to you too. So the next time when you pay your coffee at The Coffee Beans at RM10.00 and you feel the pinch, the price isn't expensive but rather you are earning less. Do something to improve yourself and don't complain. Life has choices, either you buck up to progress or be contented with what you are. 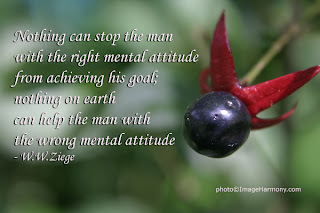 Thomas Jefferson said, "Nothing can stop the man with right mental attitude from achieving his goals; nothing on earth can help the man with the wrong mental attitude." Very true! i like your learning aptitude. I am glad you like my article. I hope you would come back more often.